Today was bookended with worship at St. Mary’s Church. I went to three services: morning prayer (7:30), communion (8:00) and evening prayer (5:30). Unlike the other services I have been to this week, the two morning services were crowded with about twenty people. Extra chairs were needed in the chancel (which is were the prayer services are usually held) so that there were places for everyone to sit. This was because it was a celebration of the 20th anniversary of the ordination of women in the Church of England. What’s more, Kate Tristram, a local priest, had been one of those first women ordained and she was celebrating her own ordination anniversary. Appropriately set on the feast day of St. Julian of Norwich, prayers of gratitude were offered for women in ministry. She beamed. In the evening, the church was packed with even more people–far too many to fit in the chancel’s choir stalls. Not only was our group of eleven present, but there was a group of forty English bishops that had come to the island for a retreat, and a great number of people from the town as well. Anna Raine sang a beautiful hymn and the liturgy was simple and quiet. It is a strange thing to go to church in a place where you are not a member, and will not attend more than a few times. It is hardly offers a feeling of home or familiarity. Still, I was grateful for some structured worship, an opportunity to hear the Bible read aloud, and long silences for meditation in a beautiful place. 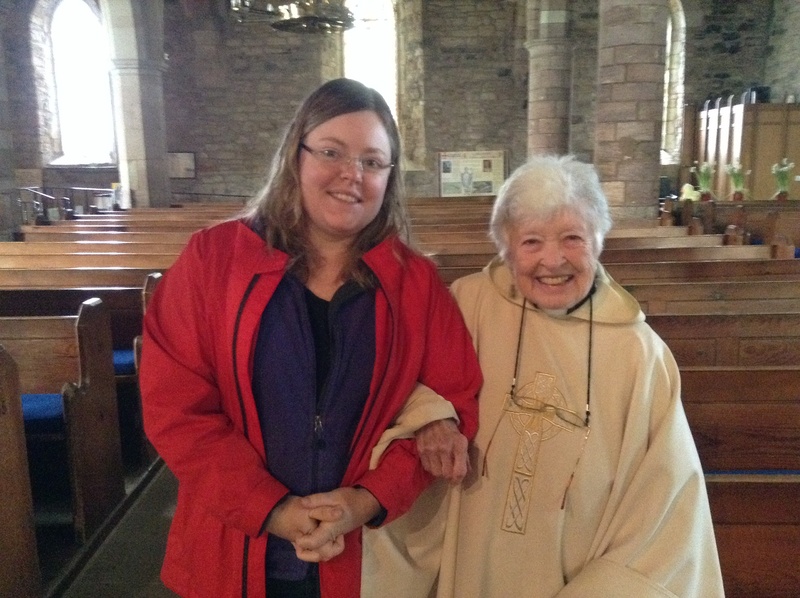 I was also invited to reflect on my own ordination and the changing role of women in the Christian tradition. Not only are Aidan and Cuthbert important, but so, too, are those like Julian and Hilde. It is vital to remember and celebrate strong and faithful women especially since the church still struggles to receive the gifts of both genders. I was so pleased that when Kate led in prayer she asked God to be at work in the life ofthe woman who would someday (since they are currently not allowed) be made bishop in the Church of England. I trust that the bishops were listening and praying right along with her. 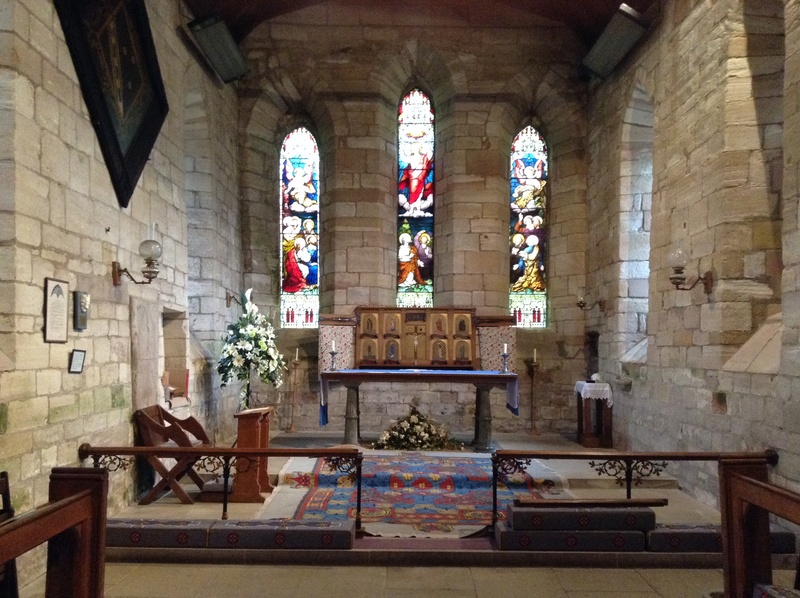 This entry was posted in Uncategorized and tagged church, God, Lindisfarne, pilgrimage, prayer, St. Cuthbert's Way. Bookmark the permalink.